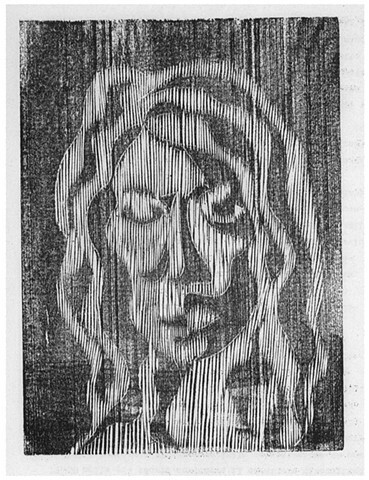 This is the first woodcut I ever carved. I was a college student spending the summer studying art at the Accademia di Belle Arti "Pietro Vannucci" in Perugia, Italy. I took two workshops: one in figure drawing and the other in relief printmaking. I went back to California at the end of the summer, finished my degree as an English Major, started my career as an English teacher. I didn't carve another woodcut for the next 35 years. What a shame!